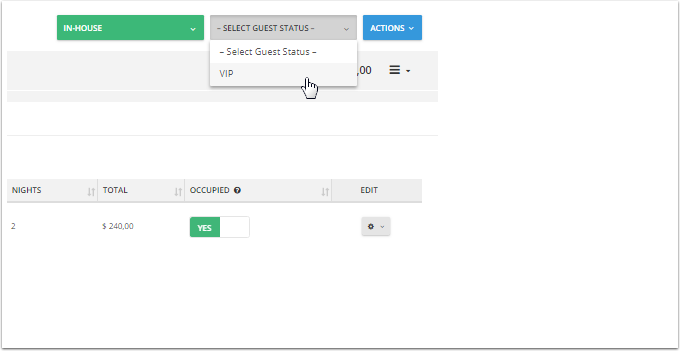 Guest Status can be used to create different categories of guests, which are then displayed in both the Guest section and any reservations involving the customer in your system. Some examples would be for VIP, AAA Member, or even if you've blacklisted them. Hopefully you haven't had to do that last one too often. 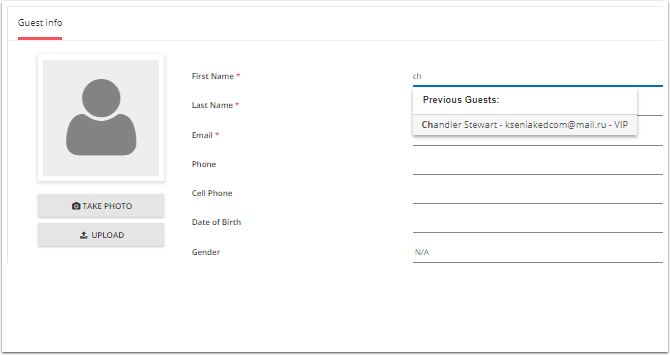 Note: Guest status is designed to be an internal reference for your staff and does not change or affect any reservations or the booking engine. 3. Once on the Guest Status page, click the green ADD button. 4. Fill out Status name and add a description. 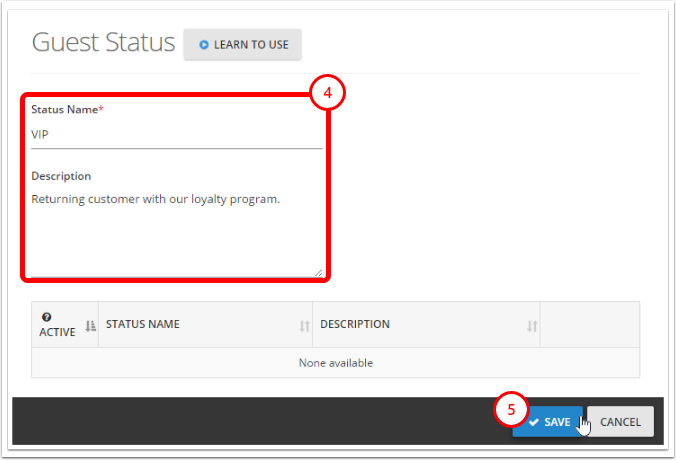 Once you've created a guest status, there are a number of uses. 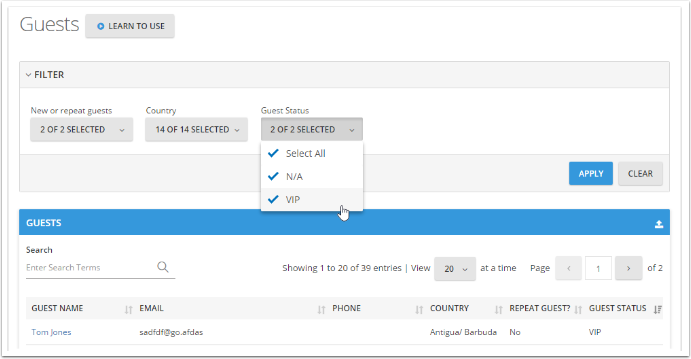 When you add the guest name into a new reservation, the status will show next to the email address of the guest. (Guest Status add-on needs to be on).